The time is nigh for some of the antagonists to rise and for the first diorama to be plotted out. Created during the 15th founding the Element Guardians were a blood angels successor chapter created from pre-heresy blood angels geneseed samples. For a time, this seemed to have been a success as the Element guardians did not show any signs of the black rage that manifested within other blood angel sourced chapters. The chapters librarians started using blood rites to enhance the fighting abilities of their brethren. 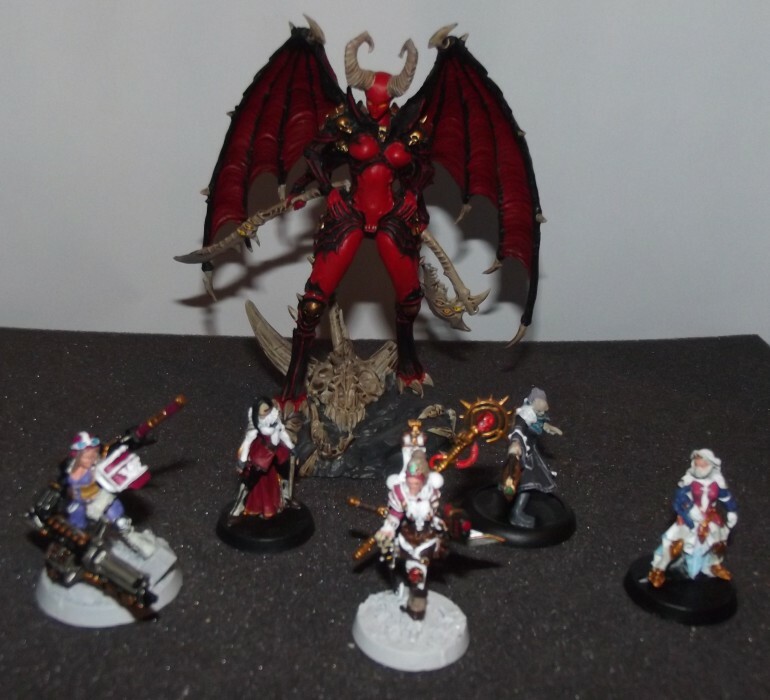 These affectionately titled ‘Blood monks’ would eventually merge with the chapters chaplains as their tasks began to overlap and eventually fade into one. 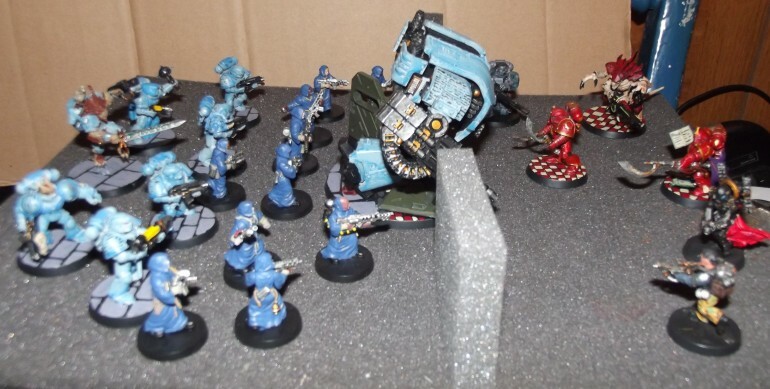 From this day new recruits were forced to undertake the rite of the bleeding wound before they ascended to become full battle brothers. A relic sword was made to sample their blood. This rite administered by a blood monk went unnoticed and it was only when a strike force from the element guardians fell upon their foes and tore them apart, followed by the same to their allies did the inquisition take note. Further reports of this happening forced them to act. Declaring the element guardians renegades the inquisition took advantage of the forces present in the Makuire sector. 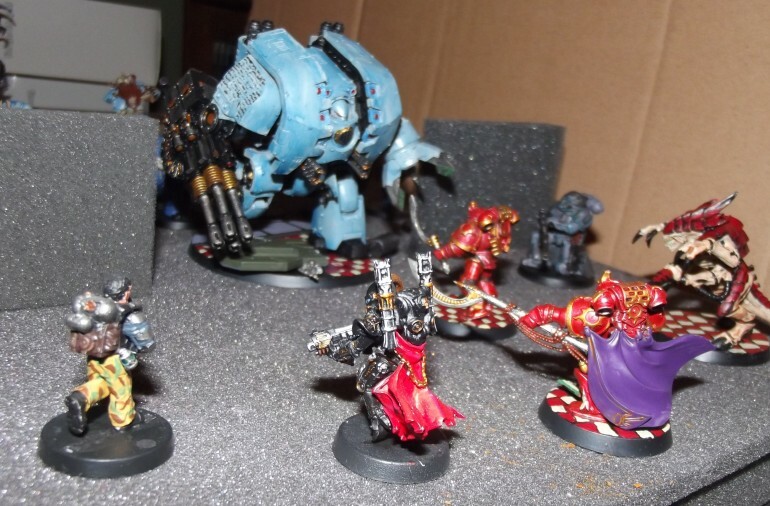 Veterans from the Thousand eyes chapter located and then sabotaged the weapons of the element guardians’ fortress monastery. A strike force was gathered from the Vigil and a lance was requisitioned from the Void Jackals. The inquisitorial assault on the fortress met with minimal resistance which was swept aside by the charge of the void jackals. The vigil then conducted a room by room search helped by maps created by the thousand eyes. They combed the fortress finding the handiwork of their brethren as they proceeded. Only when the fortress was declared clean did the Thousand eyes make themselves known. The element guardians following the blood had left their monastery with a skeleton staff of the unbelievers. The monastery was taken by the Vigil and reconsecrated to serve the next recipient. The element guardians ceased to exist and were stricken from records by inquisitorial decree. The next sighting of the marines who had once been the element guardians spoke of blood crazed madmen who would butcher their way through their allies to get at the foe. Blood caked their armour and screams of ‘We are made by our blood and undone by our blood. Praise the blood.’ rose as they marched. These bleeding wound renegades continue to create havoc within the Makuire sector while also being able to replace their losses and equipment. Where they are drawing it from nobody knows. The bleeding wound creates new warriors with its own unique take on the exsanguination method used by many blood angels chapters. A lake of blood fills the chamber of initiation on the chapter’s flagship. New initiates are implanted with the glands and then forced into the lake. If they survive the crossing the power of the blood transforms them in body and mind into a new marine of the bleeding wound. If they fail, then the blood claims its next victim as the unfortunate aspirant is torn apart by the creatures that inhabit the blood lake. The glands wash ashore and are collected ready for the next host. The bleeding wound unlike their fellow renegades the Fade rely more on martial strength and brute force to win their battles. Even resorting to tearing their own cultists apart in their pursuit of blood. Based on Warhammer Age Of Sigmar Khorne Bloodbound Blood Warriors the berserkers form the line troops of the Bleeding Wounds forces. Typically armed with a pair of chainaxes with their leaders wielding ancient two handed Excoraitor variants the Bleeding Wound marines excel in close quarters combat. 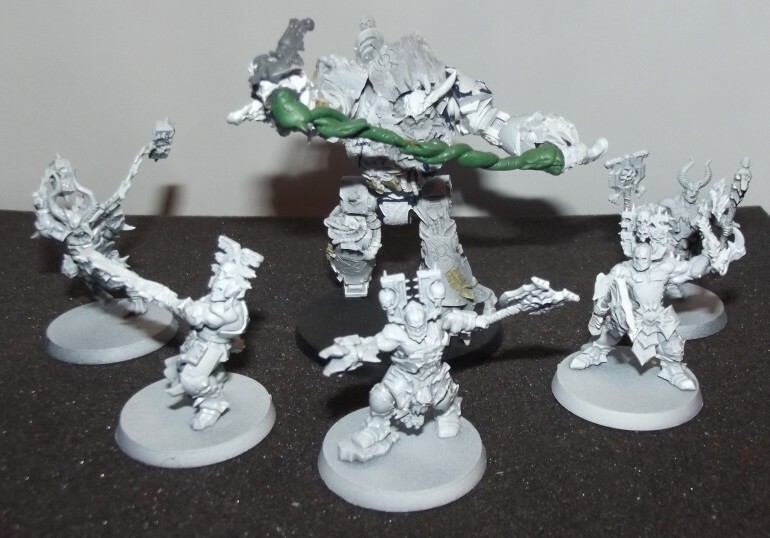 Converting these guys was as simple as adding backpacks and the odd shoulder pad to the models. Colour wise the models were undercoated white, Kantor blue was used for the trim, yellow for the eyes, silver, gold, browns and bone colours were used alongside the skin to complete the weapons. 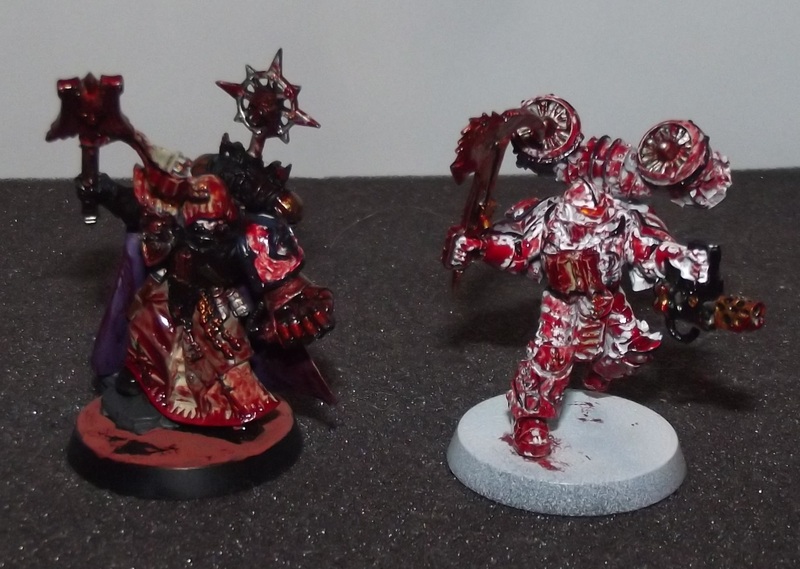 Then with the models readied liberal amounts of blood for the blood god paint was applied but only to the front of the models to show that the bleeding wound do not turn back then advance through the remnants of their foes. The few members of the bleeding wound who do not charge forwards recklessly are herded into the bands of the huntsmen. Armed with axe rakes and flamers they are destined to smoke out those who hide within structures to allow for the slaughter to continue unabated. As I really like the models these guys are 30k word bearers ashen circle models with the word bearer shoulder pad replaced. They then got treated to the same paint job as there on foot brethren. With the same blue finding its way into all of the recesses. Kine is the 2IC of the bleeding wound warband that is present in the Nacra system. Based on the Dark angel interrogator chaplain model he has had a chaos star added as well as liberal amount of the blood effect paint. Small for a space marine (due to model scale issues.) Sekar Vang is the heir to the leadership position of the bleeding wound warband. Armed with a pair of lightning claws Sekar is a true terror in close combat. He is based on a hordes/warmachine model with a simple SM backpack being added. The Possessed marines of the bleeding wound are those unfortunates who fully fall into the grip of the black rage. Manacled down these individuals are forced to undergo possession. 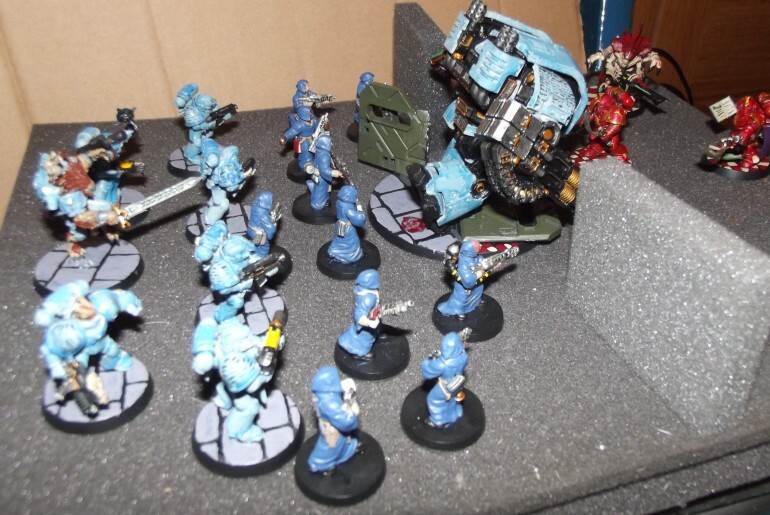 Once complete the possessed marine is put into stasis and awakened to do battle. The first wave of any Bleeding Wound assault consists of these near unstoppable madmen. Based on Khorne Bloodbound Wrathmongers these guys are larger than their brethren and come armed with weapons taken from the warp itself. Backpacks and shoulder pads were added and then altered to suit. Nakar Fel is the leader of the Bleeding Wound warband present in the Nacra system. While the Fade have their schemes Nakar simply wants anarchy to reign. By committing his entire force to a heavily populated world during the convergence he hopes to spill enough blood to summon to summon the lord of bloodthirsters and continue his campaign of blood. Nakar Fel himself is a modified Mhara gal dreadnought. With a second dreadnought close combat weapon added as well as a rather unfortunate victim in his grasp. When converting him I had to cut and realign his right arm but I am happy with the effect. The victim though still needs work. With the bleeding wound mostly confined to the tunnels of Nacra VIII their diorama will depict the throne chamber of Nakar Fel. A dreadnought sized chair with a khorne back will be added to the back on a raised dais. Sekar Vang and Kine take up positions either side with five berserkers each side of the central stone circle (featuring a khorne symbol) being the position of Nakar himself. The Huntsmen are scattered throughout the area while Harkans specialist Fye is secreted in a perch above the room. An enemy and a friend. During their time on Nacra V the acolytes may encounter other Inquisitorial agents and not all of them will be obvious. Inquisitor Rorona is a renegade inquisitor and her acolytes Totori, Meruru and Hom accompany her during her expeditions through the hives of the world. While she is an enemy of the cult of the new dawn she is also an enemy of the inquisition. What see seeks to do is to stop the cult by any means necessary. Acolyte Meruru has a grudge against inquisitor Harkan (whom my players are working for) and will not hesitate to engage them if she finds out who they are working for. Inquisitor Rorona is a female inquisitor model from Wargame exclusive who has had her flamer replaced with a plasma pistol. A sword from a stormcast eternal was added to represent the Inquisitors daemon infused weapon and a staff made from a spare grey knight weapon has been added to act as the Anchor for Astrid. Acolyte Totori is an unmodified GW sister hospitiller model simply painted up to suit her. Acolyte Meruru is another model from Wargame exclusive the imperial puncher. I changed the barrel of the gun so that it represents Meruru’s assault cannon and she was also given an eviscerator made from two chainswords spliced together. Acolyte Hom is based on a warmachine inquisitor model which serves the old psycher well. These guys are mostly likely to find their way into the Nacra V diorama or will be placed onto the diorama for the convergeance event depending on the final composition of the dioramas. Cultists of the new dawn. The weapons and robes share the same overall colour scheme but I tried to vary the skin tones of the cultists to show the diversity of what you may find in a hive city. Representing players and other NPCS. These are extra models I have to hand which will be used to spice up the dioramas when required. Anvil industries regiments infantry, anvil industries black ops sniper, heresy lab Victoria vasilev, Wargame exclusive emperors sister. This is still in the planning stages as I want to get everything positioned correctly before I commit to carving into the base board I have for this part of the project. 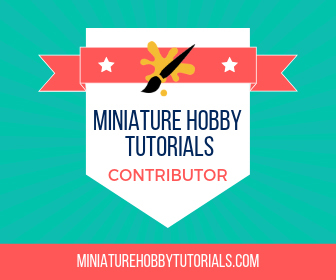 The plan for this diorama is for the structure serving as the base for the acolytes and their support crew being attacked by the fade and their cultists. The walls positions are determined by the placement of the foam uprights for this mockup. Exodus will most likely find his way onto an upper floor which has been planned for as well as adding defensive weapon hardpoints, cracked pieces of plastic to represent glass as well as other small extras to add to the interior of the building to provide a more visually pleasing scene. The bases of the models have been left black for now as once I paint up the actual diorama I can then match them into their correct slots easily. Next up for this project is to source the last few models I need to fill in some gaps, finalize the setup for the Nacra V diorama and then get cracking on the rest of the project. You’ve made a lot of progress. Nice work so far. Also, it’s always awesome to see hobby stuff like this fluffed out as well. I’ve never done a diorama, so can’t wait to see your progress on this.